Stainless steel case with a stainless steel bracelet set with purple sapphire crystals. 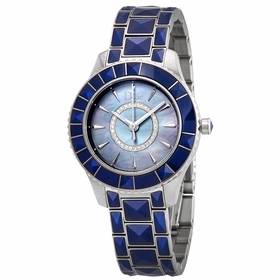 Uni-directional rotating stainless steel bezel set with purple sapphire crystals. 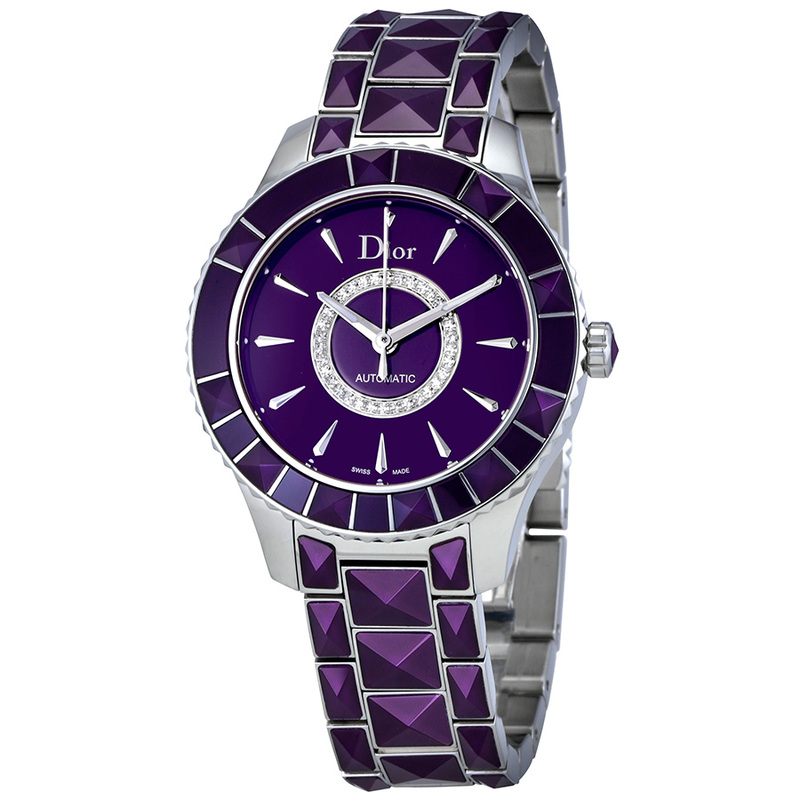 Purple lacquered diamond-set dial with silver-tone hands and index hour markers. Dial Type: Analog. Automatic movement with a 38-hour power reserve. Scratch resistant sapphire crystal. Pull / push crown. Transparent case back. Case size: 38 mm. Case thickness: 11 mm. Round case shape. Band width: 17 mm. Band length: 8 inches. Fold over with double push button release clasp. Water resistant at 50 meters / 165 feet. Functions: hour, minute, second. Luxury watch style. Watch label: Swiss Made. 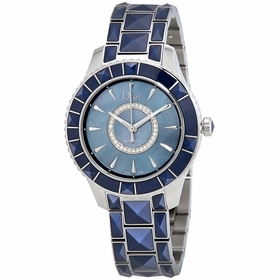 Dior Christal Automatic Ladies Watch CD144512M001.